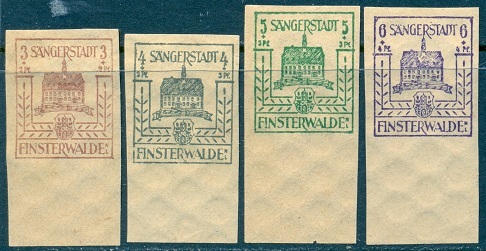 Local stamps were issued by the town of Finsterwalde during 1946. 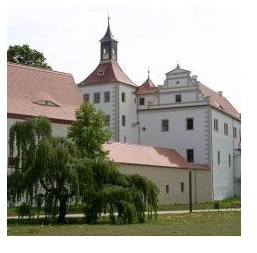 Located in the Soviet Occupation Zone, the town is about 25 miles Southwest of Cottbus, in a wine-growing region of the state of Brandenburg. 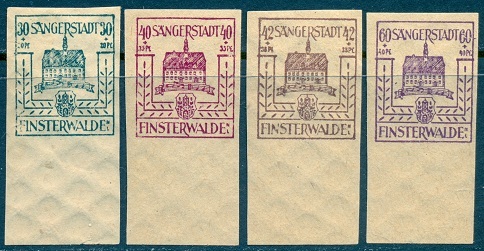 Finsterwalde was first mentioned in 1288 in historical texts, and it was a possession of Saxony after 1635. It has a Gothic church, built in 1581, and a castle, which are shown in the picture at the left. Today, it is basically an industrial town of foundries, mills, and factories. The town is famous for the "Four Singers from Finsterwalde". 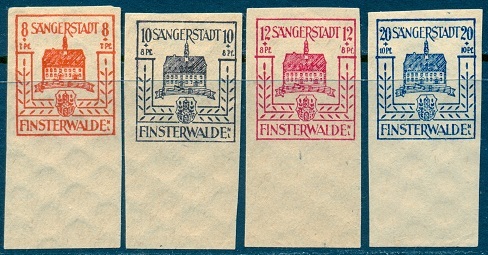 The twelve local semi-postal stamps shown above were issued on February 16, 1946, to raise money to pay for local reconstruction projects. They depict the Finsterwalde City Hall, with the coat of arms below. They are unwatermarked and printed on grayish brown paper with heavily grilled gum. 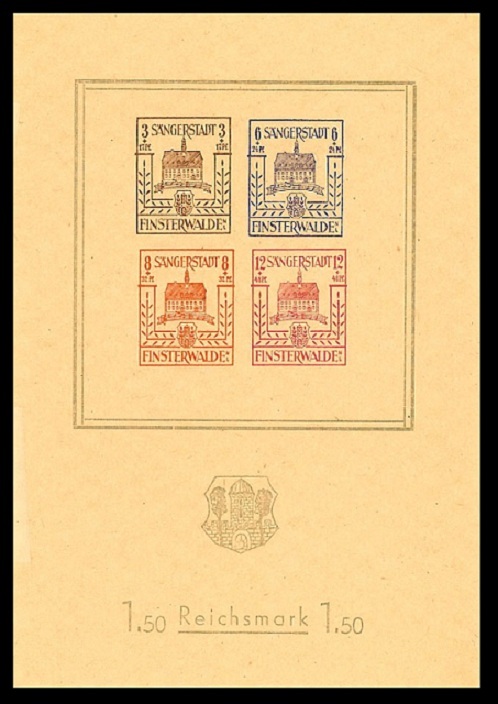 The souvenir sheet shown above comes in two varieties, one with a small coat of arms, and the other with a larger coat of arms. The souvenir sheets are considerably scarcer than the stamps of this issue.